Is your smile not what you want it to be? If you would like to change your smile cosmetic dentist Dr. Patrick Simone DDS can help. Dr. Simone offers many cosmetic dentistry procedures including the most popular, bonding and porcelain veneers. But what is the difference between the two? Both bonding and veneers have similarities. They both are used to cover dental imperfections. However, the procedures are quite different. Dental bonding uses a smooth tooth colored solution which is applied to teeth. It covers stains, and fills in small chips and gaps. After the dental bonding solution has been applied and shaped a specialized dental light is used to harden the bonding material. Once the bonding solution is dried and cured additional layers may be applied depending on your situation. When the process is complete the tooth is then polished. Bonding is used on patients who need one or two teeth corrected. Porcelain veneers are fabricated from a solid piece of porcelain. They fit over the front and underside of your tooth covering the entire surface of visible tooth. 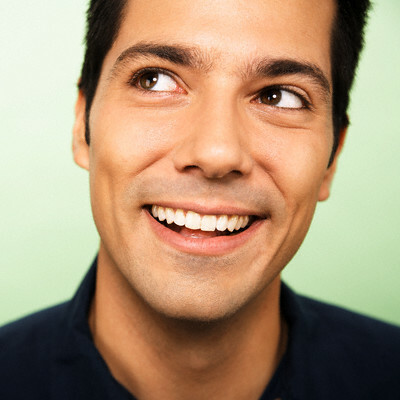 Veneers can be fitted to lengthen or widen teeth to close gaps or fill in chips. Porcelain veneers are generally used for patients who have several cosmetic problems or want their entire set of front facing teeth made over. If you are unhappy with your smile and would like more information on bonding or porcelain veneers call Dr. Patrick Simone in Henderson, NV at 702-735-2755. Learn more about Dr. Simone and his practice by visiting his website at www.patricksimonedds.com. Accepting patients from Las Vegas, Silverado Ranch, Enterprise, Whitney, Spring Valley and all surrounding areas.